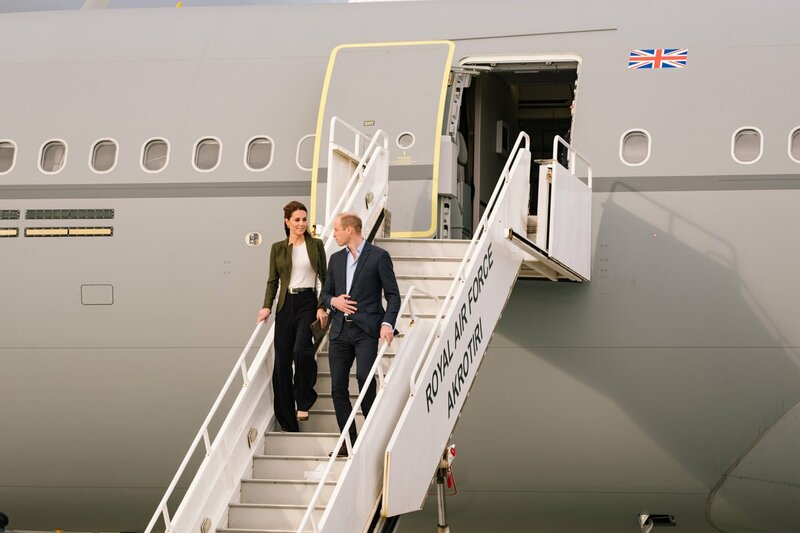 Today, the Duke and Duchess of Cambridge traveled to RAF Akrotiri in Cyprus, the home of the Cyprus Operations Support Unit that provides support to British Forces Cyprus and operations in the region to protect the UK’s strategic interests. 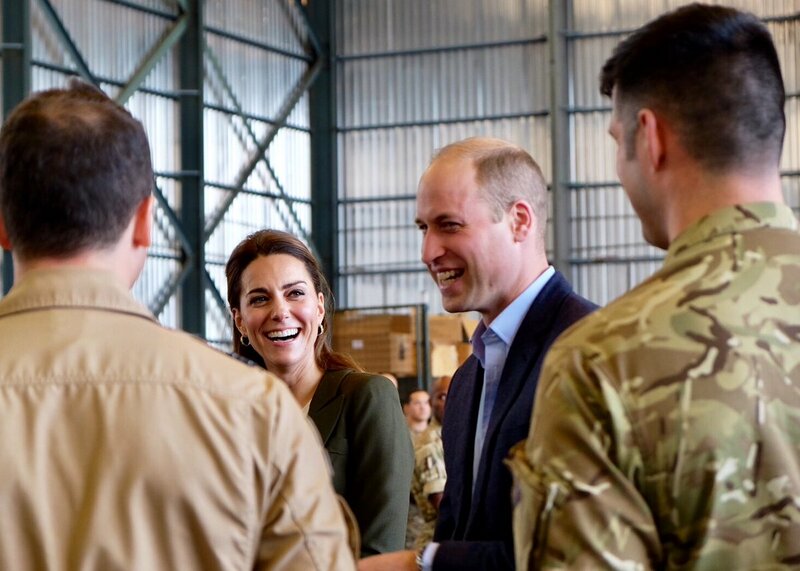 Duke of Cambridge is the Honorary Air Commandant of RAF Coningsby in Lincolnshire that is home to Typhoon squadrons which deploy military personnel to Cyprus and fly operations in support of Op Shader, the UK’s contribution to the ongoing campaign against Isis. They work alongside 31 Squadron, a Tornado GR4 unit based at RAF Marham in Norfolk, which is also involved with the campaign. It is being reported that during the festival season 11000 serving personnel will be away from their homes deployed in 35 countries across the globe. 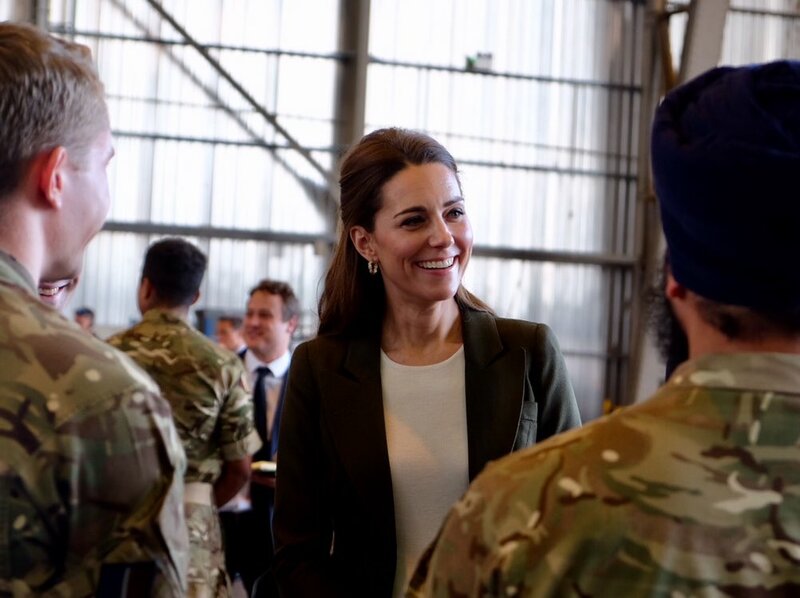 It was be a busy day in Cyprus for the couple as they met with the deployed personnel from 11 and 31 Squadrons who have been deployed on operations for Op SHADER, the campaign against Daesh, as well as personnel from 2 Mercians, the lead infantry company, who have recently been in Afghanistan. 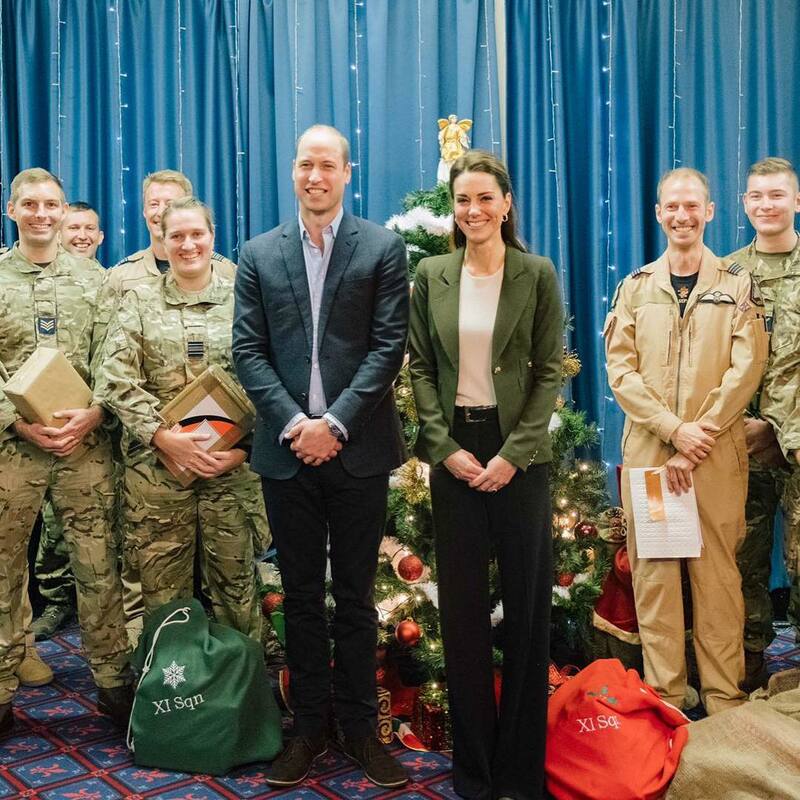 William and Catherine brought some festive cheeriness with them as they handed out presents to members of the 11 Squadron that were given to them by the family members of the deployed personnel at the Christmas Party they held at their London Residence Kensington Palace yesterday. 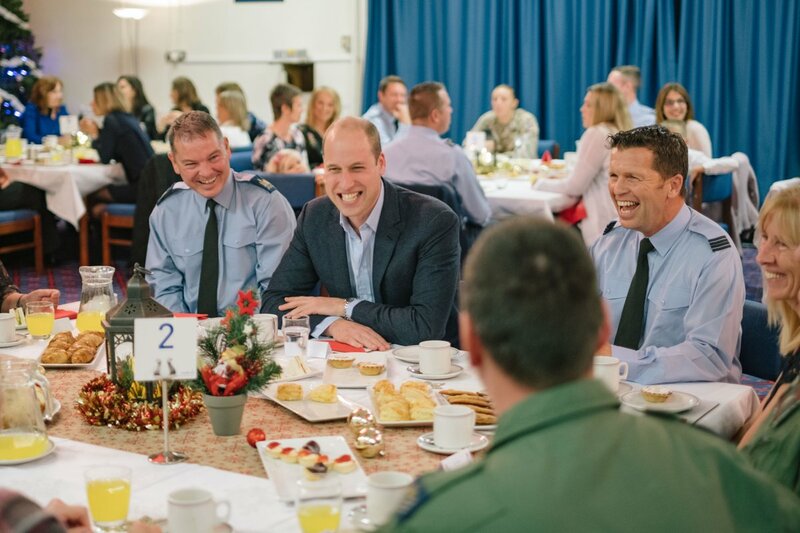 The serving men and women receive goody bags containing small treats like chocolate and magazine over Christmas, along with letters from cadets and parcels from military charities. 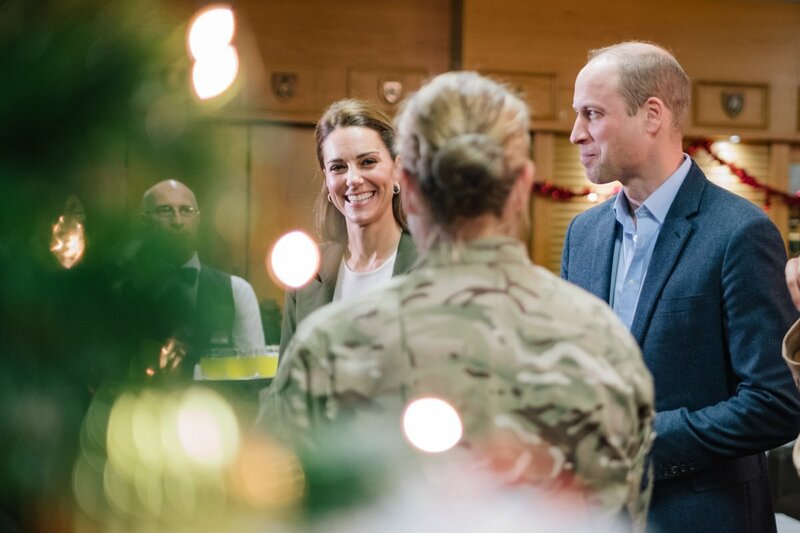 The royal couple met the station personnel, families and British Forces representatives at the Sergeant’s Mess, and did a walkabout to meet people before attending a Christmas Reception. 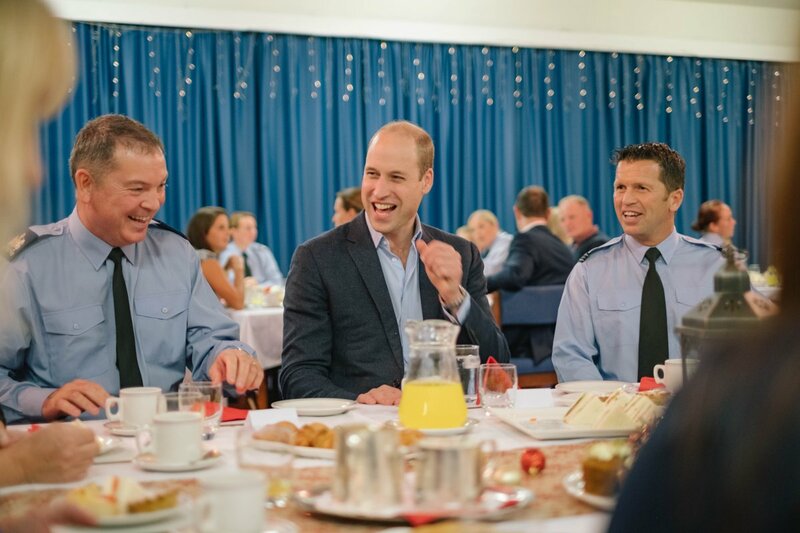 William cracking jokes with men in uniform at Sergeant’s Mess. Thank you for welcoming Catherine and I here today. 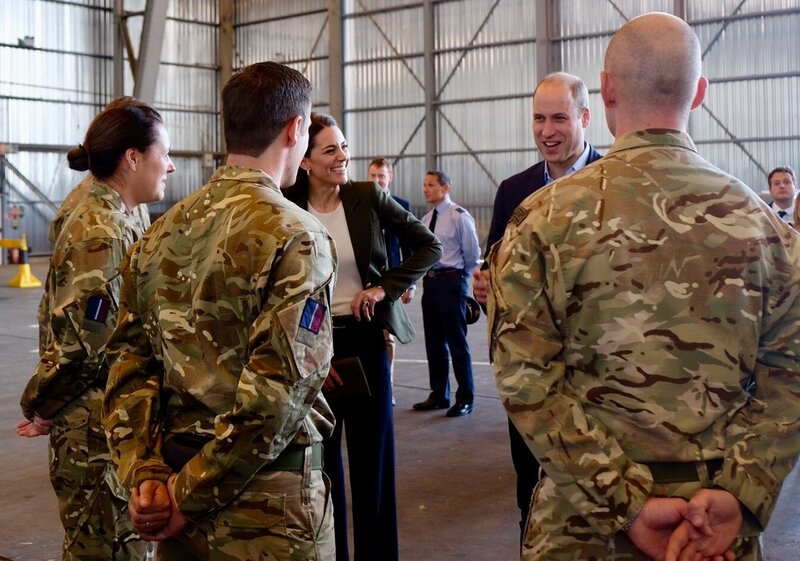 At any given moment, in every corner of the world, the men and women of the UK military can be found working to protect our country’s security and interests. There will be some 11,000 sailors, soldiers, airmen and marines deployed on operations over the festive period from all three services. 30 operations in 35 countries across the globe from Somalia and South Sudan to Kuwait and Ukraine. All of this work is done without fanfare. You don’t seek praise for your contribution. It’s not about credit or recognition – for you, it’s just about service. But as we approach Christmas, Catherine and I feel strongly that praise for your work and recognition of your sacrifices is exactly what is due to you all. From my time in uniform, we both know a bit of what it feels like to balance your work commitments with your family life. You all put duty first. And so do your families, some of whom we had the chance to meet yesterday at a party at Kensington Palace. We know this isn’t easy for you or for your wives, husbands, children, and friends back in the UK. On behalf of everyone back home, we would like to say thank you. Thank you for your commitment and thank you for your sacrifices. We are in your debt and Catherine and I feel very lucky to be able to spend time with you today. 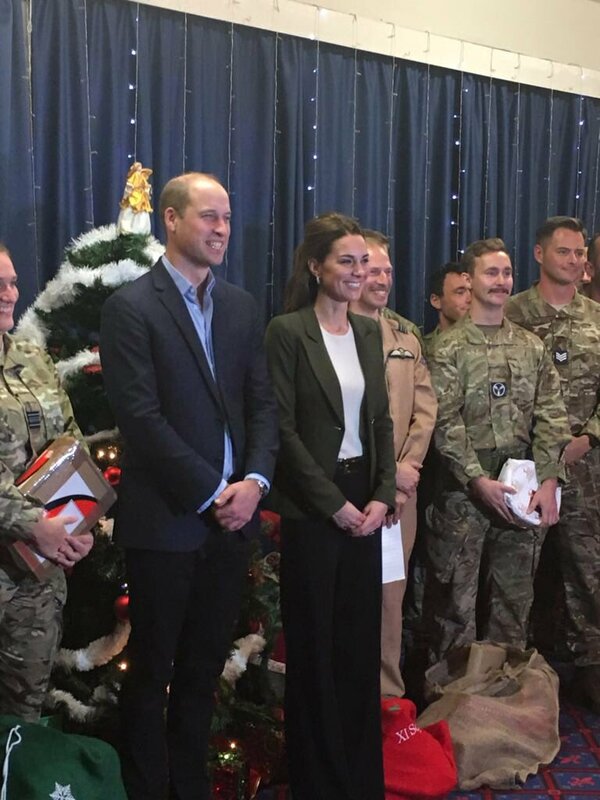 Following this, William and Catherine opened the Oasis Centre, a recreation area on the base for service members who are not on shift. 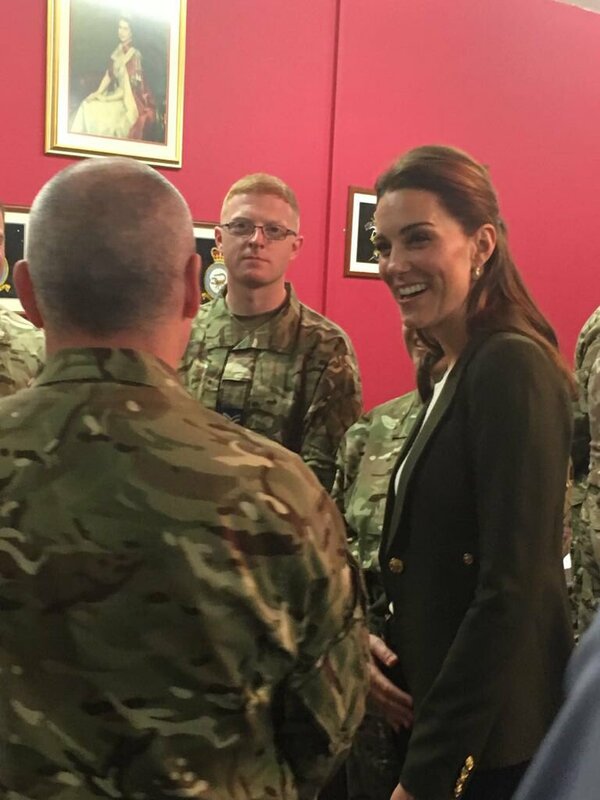 The Duke and Duchess of Cambridge visit the new cinema room and the café area which is run by CESSAC, The Church of England Soldiers’, Sailors’ and Airmen’s Club. Oasis Center is a non-used kindergarten that has been transformed by the staff with the help of local Cypriot tradespeople to create a space where anyone serving on ops or living here permanently can come to relax. The arena is mainly dedicated to provide some quality time to the younger personnel who generally live in shared accommodation so they can communicate with their families and loved ones privately. 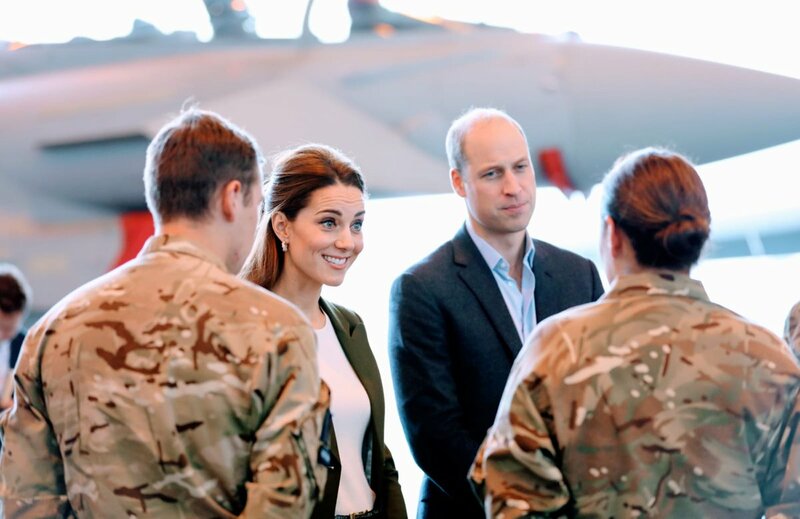 The couple met the local contractors and heard how the Centre’s rennovation was a joint effort between serving personnel who worked on the project in their free time, and local tradesmen. A video highlighting the days event. Today Catherine stepping out of her comfort zone, played with a different style. She chose a khaki blazer with white silk top and navy flared trousers. She was wearing Green Duchess Blazer from Smythe. 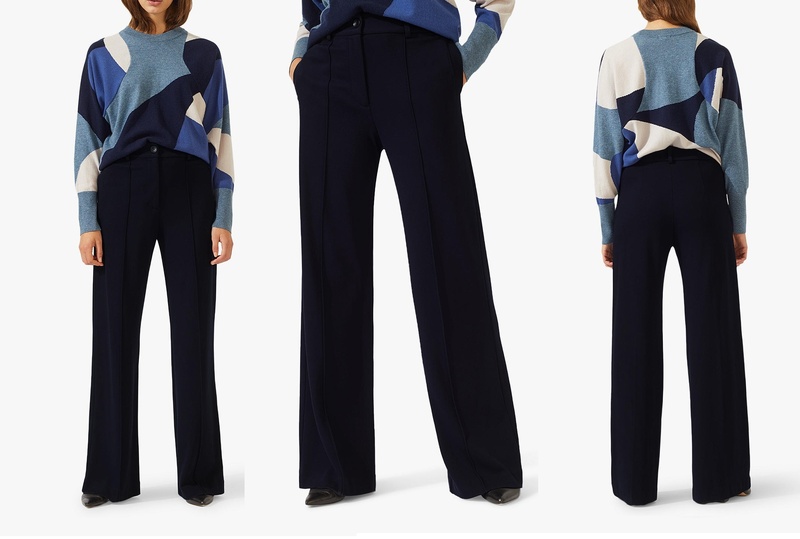 Described as, “Decidedly tailored and one of our top selling silhouettes, this single breasted blazer features a “cheeky” cut out back vent and brass hardware”, the blazer is available for $695. 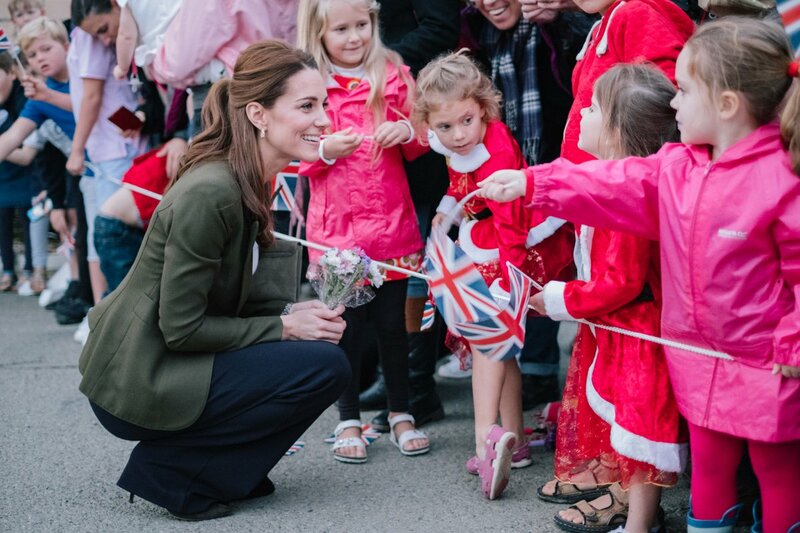 Duchess first wore the blazer in 2016 during Canada tour. Underneath the blazer shoe wore a white silk top that is still unidentified, will update the post once know the origin. 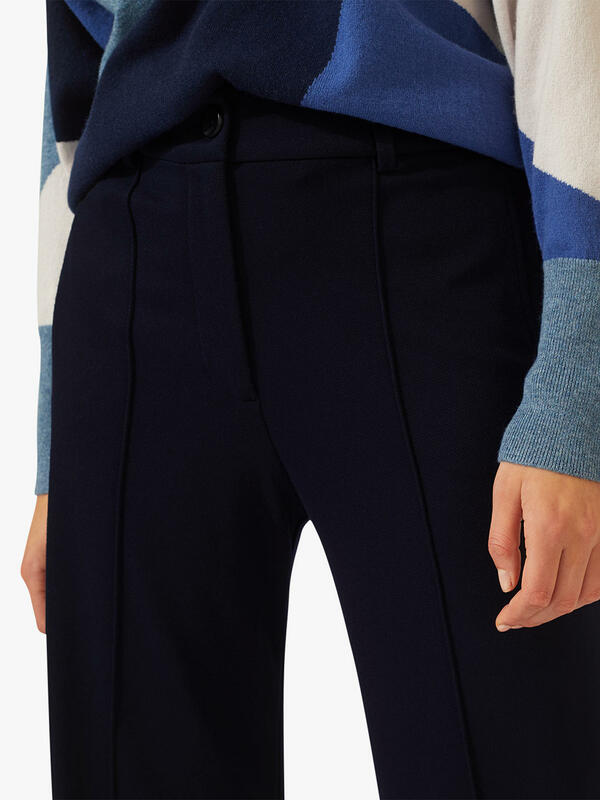 Duchess paired the blazer and top with Jigsaw High Waisted Sport Luxe navy Trousers. Thanks to the MiddletonMaven for the id. 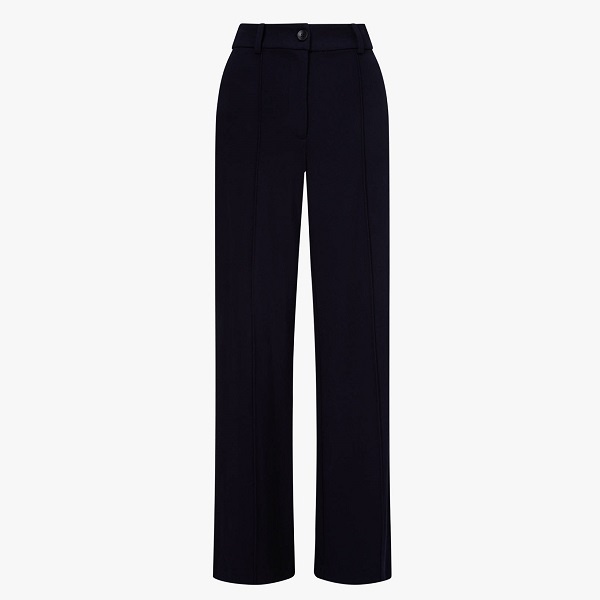 The trouser is still available for £130.00 at the time of writing this post. 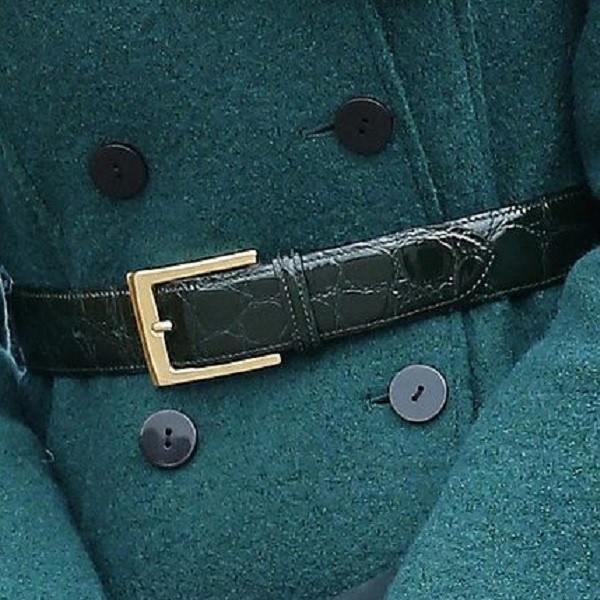 And topped the trouser with UFO Croc-Embossed Belt that she first wore on her Hobbs London Pine Green ‘Persephone’ Trench Coat at 2014’s St. Patrick Day Parade. Huge thanks to @Emma4AboutRoyal for her eagle eyed spot. She is carrying L.K. Bennett Dora Clutch. Thanks to the @Japanese_Ginger for quick id. 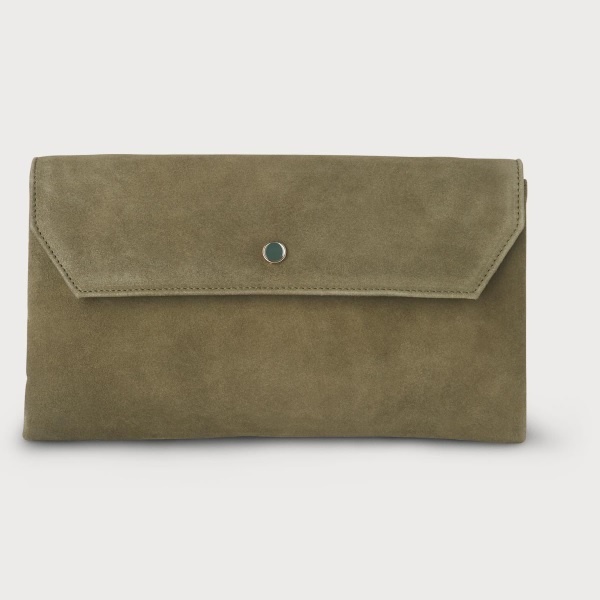 Crafted from super-soft suede, it’s cut to a classic envelope silhouette with a press stud fastening. Inside it has plenty of space, a zipped pocket and it also features a detachable chain detail strap. The clutch that originally costed £175.00 is available for £119.00 at the online store. 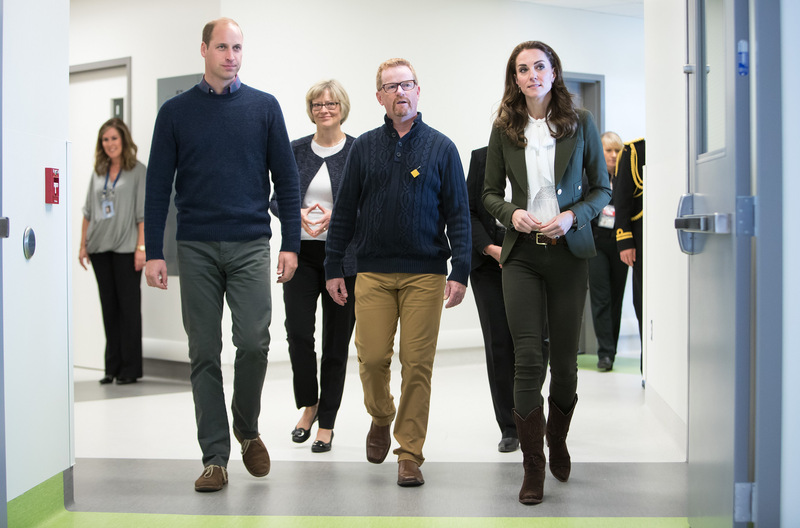 Catherine also premiered a new pair of pumps. 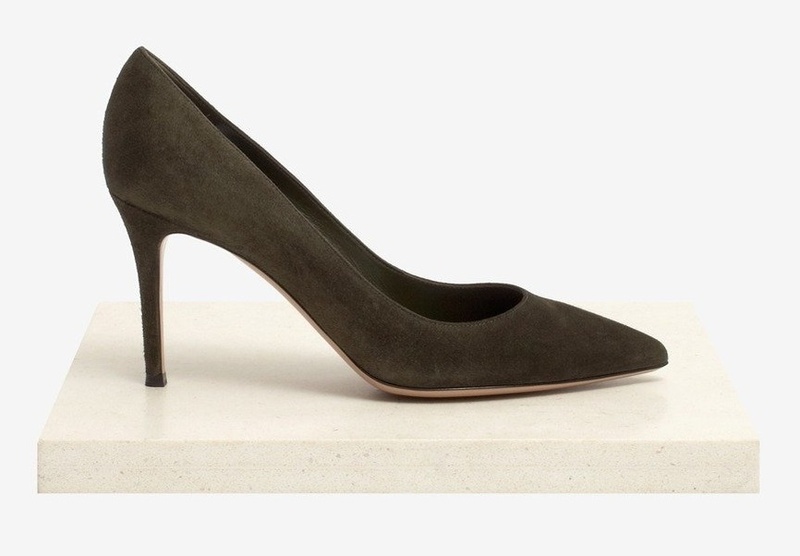 They are believed to be Gianvito 105 suede pumps. 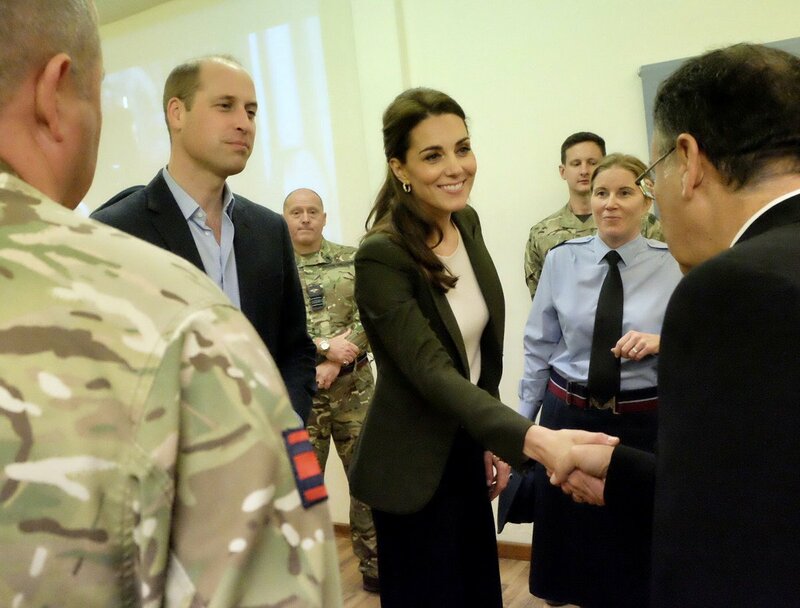 @Japanese_Ginger on Twitter found this pair that could be the one Duchess wearing, but it’s not confirmed. I will update the post once it’s been confirmed. She is wearing Asprey London Oak Leaf Small Hoop earrings that she wore at Wimbledon this year in July. 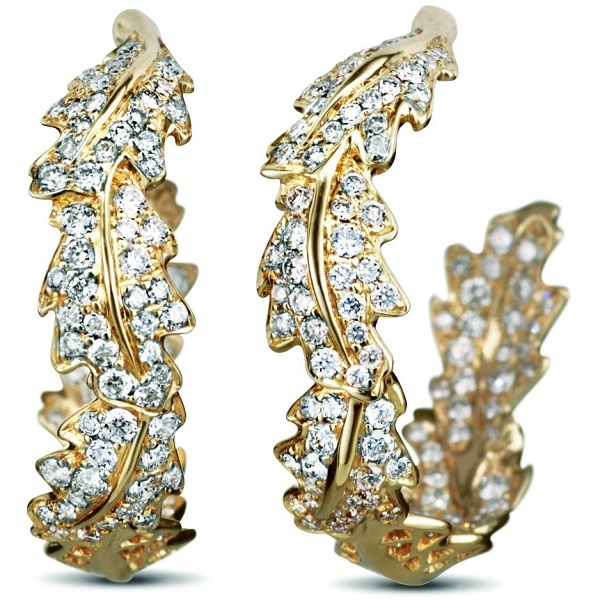 The Intertwined oak leaves in 18ct yellow gold with pavé diamonds earrings are available for $6, 450. Duchess finished her look with her Cartier Ballon Bleu watch. 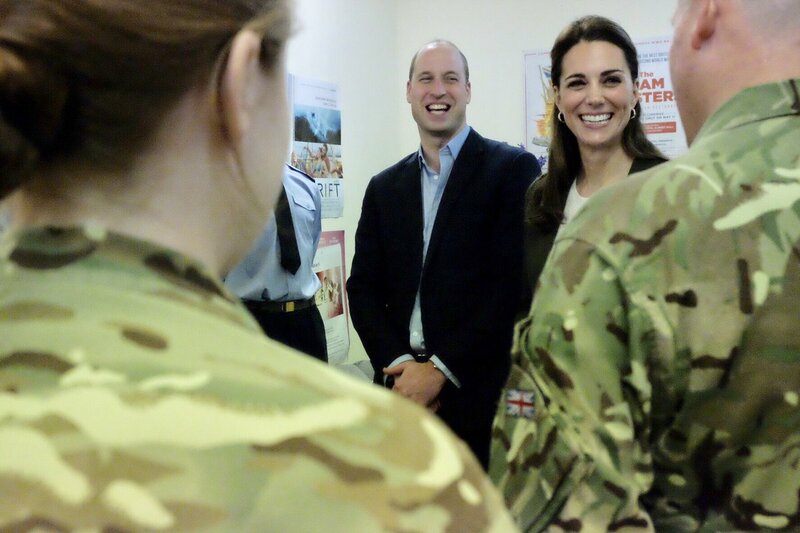 Another video of William and Catherine having fun during the visit. In the other news, Twitter friend Lauren Parkinson informed us that Duchess was seen at the Royal Ballet performance of the Nutcracker last week. Going further with her investigation she found from a lovely twitter user Barbara Zorzato shared a picture of Catherine and Charlotte. They were at the pre-general rehearsal on Thursday Afternoon.